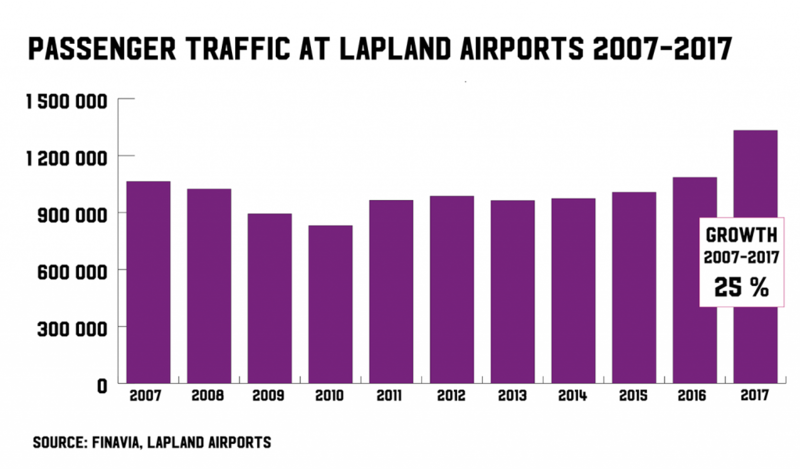 Over the past decade, Lapland airports have seen a 25% increase in traffic. Check out the infographic below for more details. View a full-sized version Passenger traffic Lapland 2007-2017 of the infograph here.